Pioneered by Mr E.A. Murphy Dunlop in the late 1920’s, scientists invented the Dunlopillo latex foam. This latex foam first made its way on the scene when it was used to pad seating in public trams, trains and trolleybuses. By the 80’s, Shirley Institution of Manchester (SIM) proved that Dunlopillo UK Latex was doubly effective at killings bugs in comparison to interior spring core mattresses. After SIM’s discovery, we started to see Dunlopillo technology making its way into hospitals across the UK. It was used in all hospital beds as its properties offered back support, spinal alignment and pressure relief. Finding the correct mattress is important for ensuring that your body's core does not fall out of neutral alignment. Aches and pains, as well as a restless sleep pattern, could be linked to sleeping on an incompatible, poor quality or damaged mattress. Thankfully, Dunlopillo are on hand with a superb collection of mattresses, all with different strengths to offer, ensuring excellent postural support for a truly unique environment to rest and recuperate. Sleep easy knowing that your mattress has done its bit to be environmentally friendly, is naturally protecting you against dust mites, odours and allergens and will provide a unique level of luxurious comfort for years to come. Don’t skip the finishing touches, opt for a headboard that offers ultimate comfort and forms a beautiful union between your hand-picked base and mattress. The headboard is an important feature in creating the bedroom that you have always wanted. 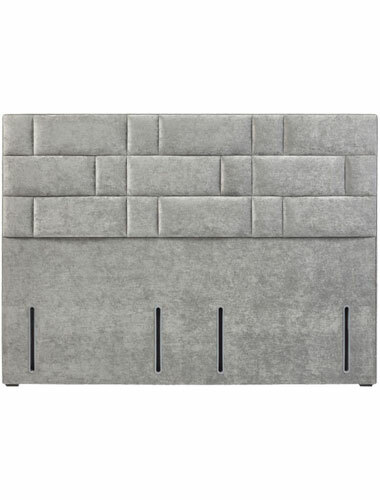 Dunlopillo offer 7 stylish headboards and each can be customised with over 30 premium fabrics to choose from. 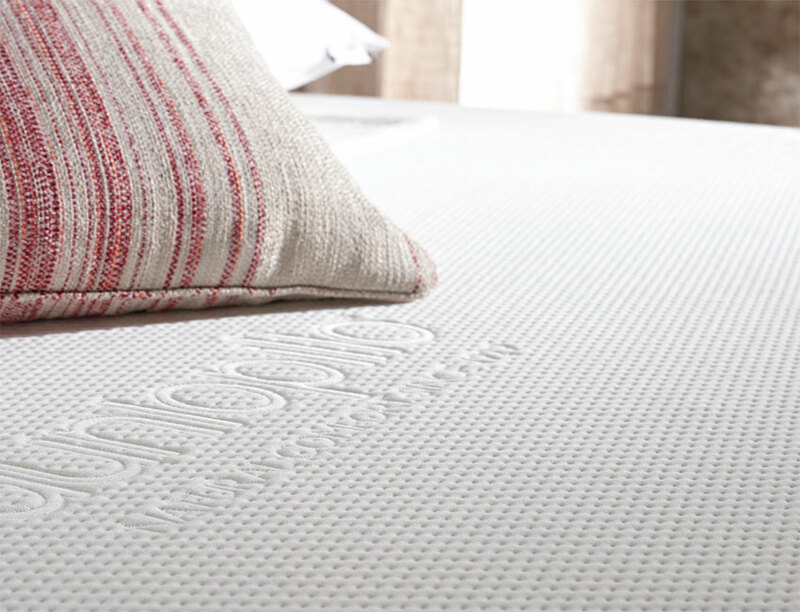 Why not enhance your Dunlopillo sleep experience by pairing your Dunlopillo mattress with a Dunlopillo base? Not only are Dunlopillo bed bases stylish, customisable and able to offer practical storage solutions, but they will also maintain the performance and longevity of your mattress. Bed bases are available in a range of sizes, styles, pattern, colours and with, or without draw storage. Dunlopillo offer two options of divan bases; Sprung birch wooden slats, designed to adjust to body weight, shape and movement, and firm edge pocketed style for a softer feel. 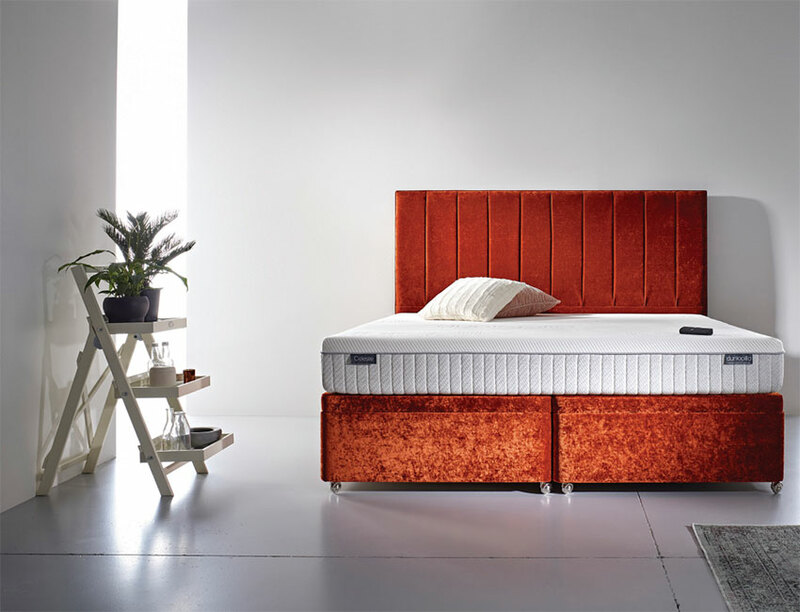 If you’re looking for even more personalisation and innovation, explore the option to take comfort to the max with Dunlopillo’s adjustable divan set. A Dunlopillo bed base could be just what you’re looking for to create your stunning bedroom living space. Taking the time to investigate and buy the right bed is a worthwhile investment in ensuring that you are providing the correct and natural support for your body shape. This is essential for avoiding future or current aches, pains, joints and muscular problems that could be caused by poor mattress condition or an incompatible firmness for your shape and weight. However, we all know that this can be a hefty investment. Dunlopillo understands this. Dunlopillo wants your mattress to last for years to come. All of their beds and mattresses are built with resilience and durability as a core function so that you don’t have to worry about frequently investing in numerous mattresses. 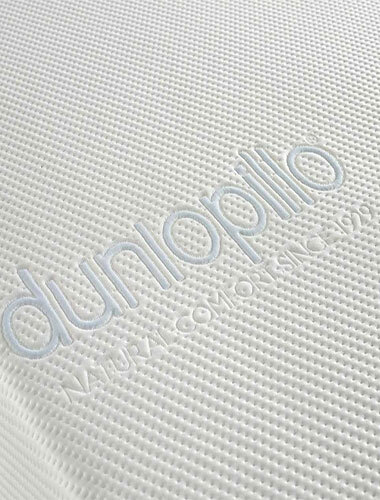 Unlike most leading mattress brands, Dunlopillo mattresses do not require ‘turning’ as the natural resilience holds shape ensuring durability. Have you ever considered the hygiene quality of your mattress? Dunlopillo use Actipro ™ technology to enhance natural protection against odours, allergens and dust mites so that you are provided with a healthy and hygienic sleep experience. Due to its natural sourcing, latex is one of the most eco-friendly mattress fillings. Sustainably managed plantations ensure that latex is sourced responsibly. Additionally, latex trees purify over 90 million tons of CO2 a year. 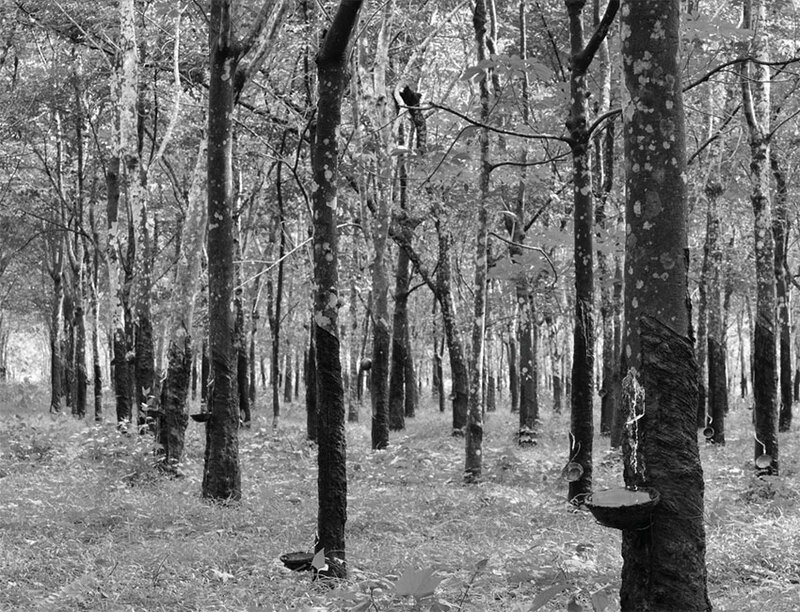 In order to create the perfect Dunlopillo mattress, natural latex is carefully derived from the sap of a rubber tree (Hevea Brasiliensis). On a daily basis, this process can only produce roughly 27ml of latex (that’s a twelfth of the size of a regular cup of coffee). To create comfort perfection, it would take one tree 500 days just to create enough latex to manufacture a single mattress! 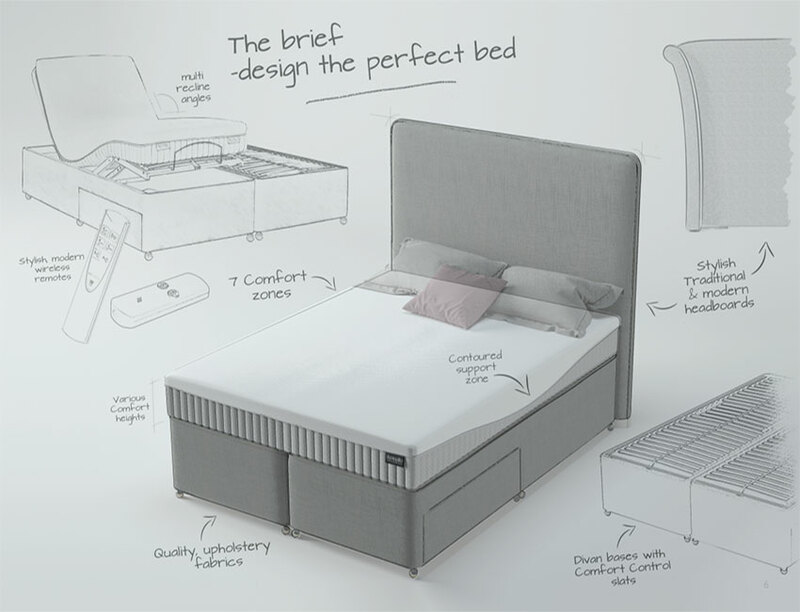 The best way to discover dream comfort within a Dunlopillo bed or mattress is to visit your nearest Beds Are Uzzz store, where our sleep experts are on hand to offer all of the help that you will need in discovering the perfect sleep environment. Beds Are Uzzz are offering great savings on Dunlopillo beds and mattresses. Be sure to discover dream comfort at fantastic prices. Browse a selection of Dunlopillo products available at Beds Are Uzzz below.